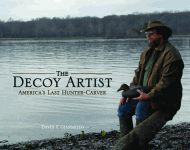 In this biography, world-class decoy carver Vincent Giannetto III comes of age in the Delaware River region. Growing up on his family’s farmland in Beverly, New Jersey, Vincent felt the intimate call of the outdoors and forged a strong connection with the Delaware River. He longed to be one of the fiercely independent river rats, men who made their living from the land. Skipping school to spend time on the river, he watches the hunter-carvers, learning the role of the decoy while struggling to make his own without guidance from these secretive men. Guide to the Amish Country: 3rd Edition comprehensively explains Amish culture and beliefs and contains addresses and descriptions of attractions, motels, eating places, and various happenings. 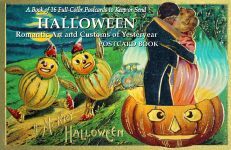 Also included are quilt shops, antique markets, wineries, farmers’ markets, parks, and museums. The development of flight has had far-reaching implications not only for combat technology, but also in politics, diplomacy, technology, and mass culture. The Influence of Air Power upon History is a thorough examination of how air power was applied from the very earliest days of the balloon down to the latest use of space technology. Hardcover. This Jewish twist on How the Grinch Stole Christmas! tells the story of the Hanukkah celebration that almost didn’t happen. The town of Oyville is alive with the spirit of the season. Brilliant menorahs glow in windows, and children spin dreidels and nosh on latkes. Toby Belfer never had a Christmas tree. Hers was the only Jewish family in the little country town where she lived with her parents and grandmother. The Belfers celebrated Hanukkah—they didn’t celebrate Christmas like the rest of the families in town. Toby invited all of her friends to join in her family’s Hanukkah celebration, just as she joined in theirs by trimming their Christmas trees and singing Christmas carols.